I love making puns about the summer Literary Firsts reading: it’s sultry, steamy, scorching–hot. On Monday night, we were actually very warm as the air conditioner at Middlesex Lounge had broken. But the Middlesex crew took care of us, as always. I cannot sing praises high enough for the staff and management at our venue. They’re the best. 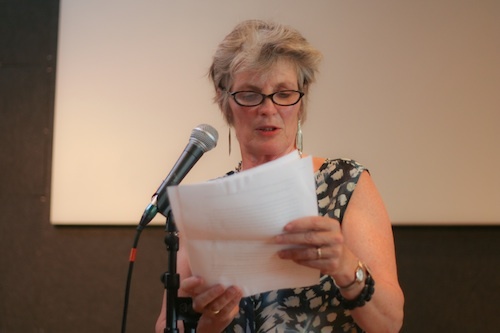 JoeAnn Hart reads flash fiction. 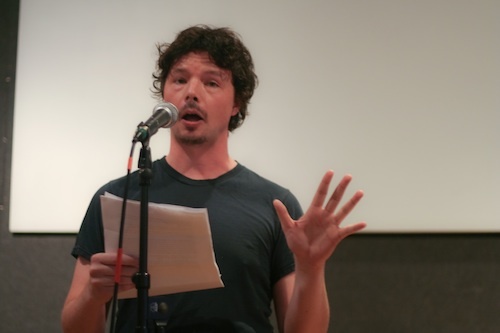 Daniel Evans Pritchard reads poetry. 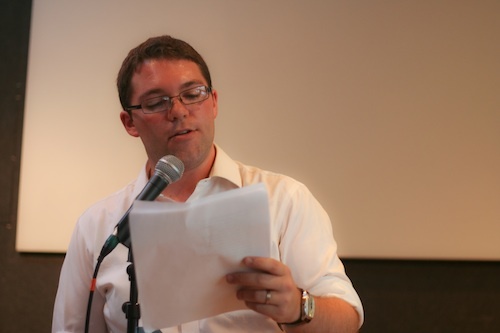 Daniel Nester reads a few essays. 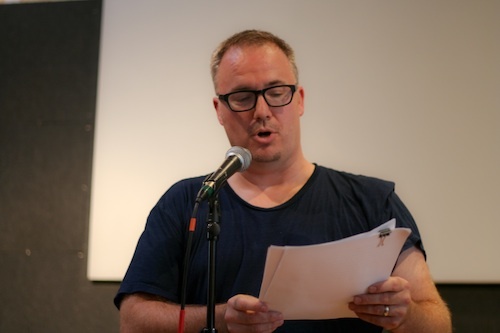 Tony McMillen reads his confessional tale. Click each name to watch JoeAnn’s, Daniel Evans Pritchard’s, Daniel Nester’s, and Tony’s readings. Can’t wait to see you in October, Boston! Tonight, JoeAnn Hart will read, Daniel Nester will read, Daniel Evans Pritchard will read, and Tony McMillen will also (bravely) read. Middlesex Lounge. 7pm. Me. You. Them. 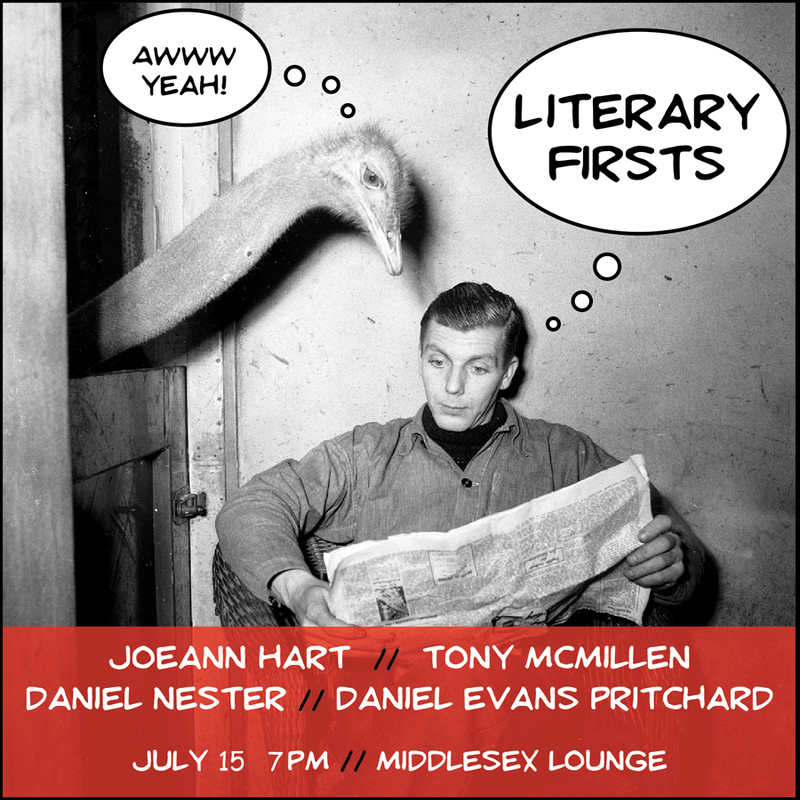 I am so excited about July’s LF reading—JoeAnn Hart as our fiction writer, Daniel Nester as our essayist, Daniel Evans Pritchard as our poet, and Tony McMillen as our confessional writer! See the posts below for more information about each reader. And see the promotional image above for the date and time (image courtesy of your host, Carissa, and her partner in crime, Randolph). See you on July 15! Tony McMillen is bundle of cumulonimbus. 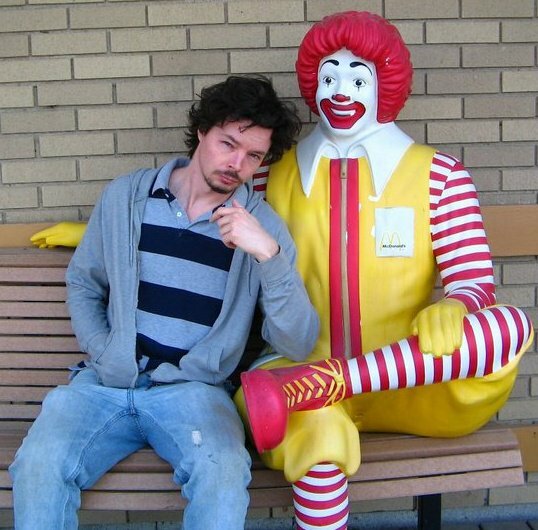 Tony McMillen is a writer and novelist living in Boston, Massachusetts. He writes the column “Touch The Wonder” for DigBoston, as well as contributes regularly to ManArchy Magazine and the UK website Hecklerspray. His debut novel, Nefarious Twit, will be coming out sometime this year. If you want to party with him find him on Facebook. If you are David Lee Roth time displaced from 1984, don’t worry, he’ll find you. Tony is the confessional writer for the July 15 reading. You are currently browsing the Tony McMillen category at Literary Firsts.